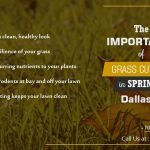 DFW & Austin lawn mowing company, Go Mow, explains why you should always have your lawn properly cared for. 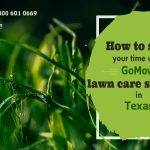 A great deal of financial resources are used each year for the upkeep & maintenance of lawns, so much so that they have quickly become a status symbol, especially here in Texas. Which raises the important question: are you a homeowner investing in your property? properly maintained lawns simply look better, not only for aesthetics, but for increasing the home’s value. 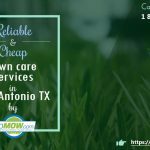 well-cared for lawns promote the healthy growth of grass. When your lawn is properly trimmed, the entire yard typically has an equal opportunity for: sunlight, air, & water. And the healthiest grass shoots are given the chance to grow even more. This makes the lawn look fuller & healthier. The shoots from the cut grass will benefit your lawn since they can then grow again, making the grass thicker. While watering at night can save water, since it takes longer to evaporate, it can cause unwanted growth from fungus. The ideal time to water your lawn is early in the morning. This provides enough time for the water to soak in to the soil, but doesn’t leave the water so long that it encourages growth of fungus.